Bullying. It’s a word that we all know, and that gets described in many ways. It’s an issue that’s frequently talked about and affects nearly 1 in 4 students between the ages of 12-18. It’s a reason for many school absences and can be a trigger, along with other mental health issues, that can lead to tragedies such as shootings and suicides. Bullying. It has one definition, but many myths and misconceptions. By definition, the word bullying means a repeated pattern of behavior where someone has power over someone else*. Since bullying is often misunderstood, it doesn’t always get addressed until it’s too late. 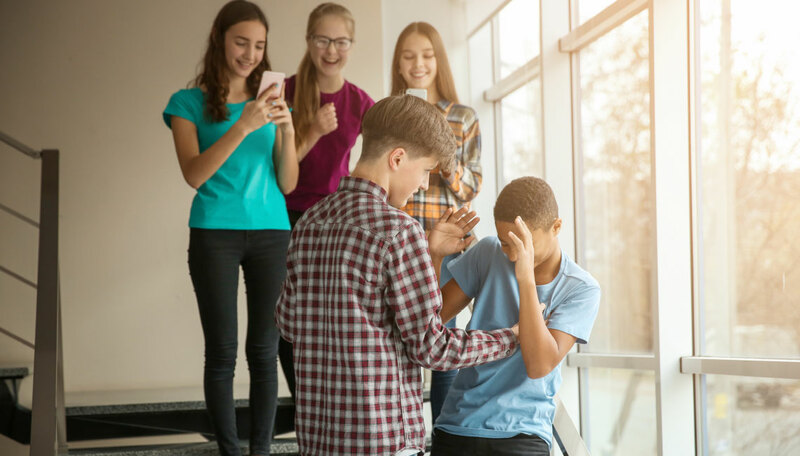 While bullying can lead to some of the horrific events that we hear about on the news, it can also result in low self-esteem, anxiety, depression, poor grades, job loss and a multitude of other issues that may not always present themselves to the public eye. Bullying can have negative long-term effects, which is why it’s important to differentiate the myths from the facts. Myth # 1: “Good” kids don’t bully. Fact: Bullying is a negative behavior that can be presented by all types of kids. Bullies are sometimes children who are perceived to be “trouble-makers”, get bad grades and frequently misbehave. But there are also bullies who get good grades, were taught not to bully and who seem to have no trouble making friends. While there are common reasons why kids bully, it’s important to understand that these are not the only reasons why kids bully. Bullies who are perceived to be “good kids” are often not as easy to identify because they fall outside of the stereotypical bully persona. Myth # 2: Bullying isn’t always a big deal. It’s just kids being kids. Fact: Bullying is a big deal and should always be treated as such. It shouldn’t be ignored or dismissed and is not a normal part of childhood. Bullying is common, but that does not make it right nor does it change the fact that bullying can have negative consequences if not addressed. 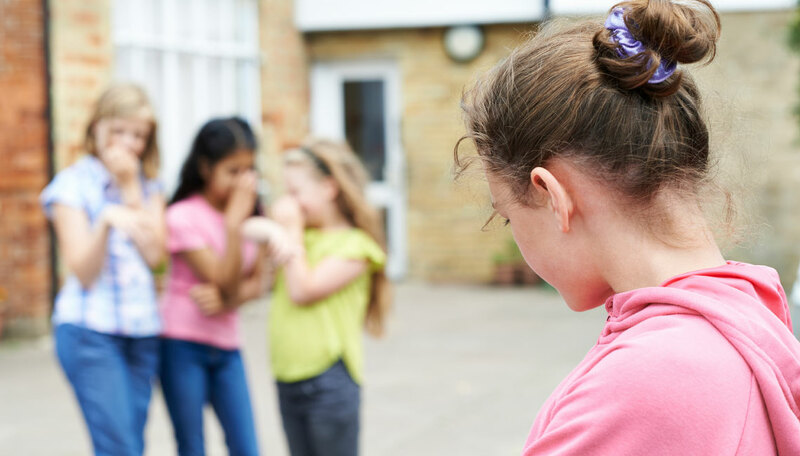 Childhood bullying that is not addressed can have long-lasting effects that carry on to adulthood. I have had many individuals approach me who were bullied as children and are still being impacted by it as an adult. Learn How to Heal from Childhood Bullying as an Adult. Myth # 3: Parents will know when their child is being bullied. Fact: Most parents will not know that their child is being bullied until it has escalated to the point where their child is starting to show signs of being bullied due to anxiety, depression and/or low self-esteem. Myth # 4: Bullying is something that kids grow out of. Fact: When bullying is not addressed, the victim can have long-term effects that impact their relationships, jobs and esteem. The consequences and effects can also be lasting for the bully. 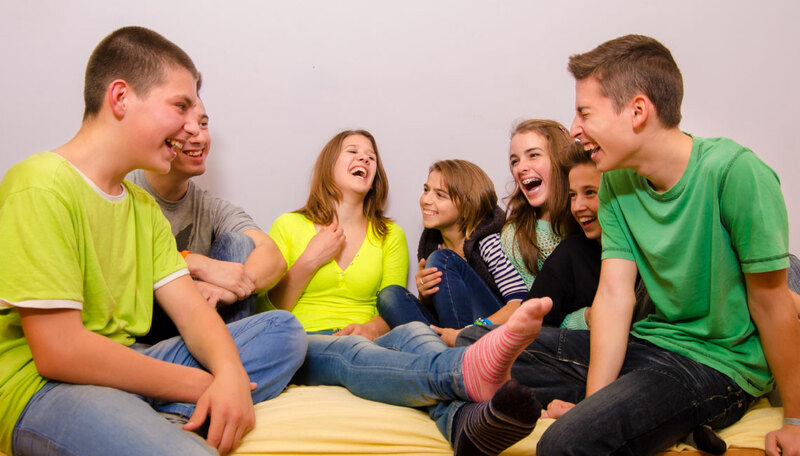 When not addressed, kids who are bullies are more likely to abuse alcohol and other drugs later in life, get into fights, drop out of school, engage in early sexual activity, have criminal convictions as adults and be abusive toward their romantic partners, spouses or children. Myth: 5: It’s best to just let kids work it out themselves. Fact: Children who are bullied should be empowered to try to address the bullying themselves with the support of their parent(s) or other trusted adult. This does not mean that the parent should not care or be involved. Parents should use empathy, empowerment and engagement to help their child heal from bullying and address it. If a child wants to handle the whole thing themselves, parents must make sure that they are committed to stepping in if their child’s safety or well-being is at risk. Myth: 6: Bullying is anytime one person is mean to another. Fact: Bullying is not a one-time confrontation or conflict between two peers. It isn’t a verbal disagreement, friends naturally growing apart, a kid not getting his or her way, or a child being mean to another child just once. All of these things can feel bad, but they are not bullying. Bullying is a repetitive pattern of one person (the bully) having power over another (the victim) by taunting, calling names, harassing, or being physically or verbally abusive. Awareness is one of the best ways to help prevent bullying. Empathy, empowerment and engagement can help parents address bullying with their child. The Empowered Child book provides more information and examples of how you can use The Three E’s to help your child address bullying and other issues. If your child is experiencing bullying and has anxiety or depression that does not go away, it’s important to seek professional help. I am always available for assistance and you can click here if you’d like to schedule a complimentary 30-minute phone consultation.